At the end of this tutorial, I’m also holding a special giveaway for one of my new favorite tools! Be sure to keep reading and enter at the bottom of this post. I followed the cut list on the plans, making sure to cut the top of the bench and the front and back aprons to 5′, rather than 7′. I marked out where the notches are cut out in the legs and cut them using my jigsaw. I drilled my pocket holes in the legs using my Kreg Jig (affiliate link) and then glued and clamped them. My boys attached the legs using 1 1/4″ pocket screws. I finally got to use my new RYOBI Airstrike Narrow Crown stapler and it was awesome! I glued the aprons onto the bench and then my oldest and I used the stapler to attach it. I probably only got to shoot two or three staples in. My son sort of took over took over this part of the project. My 6 year old decided to take on the role of supervisor while we finished it up. We had the bench put together in a matter of minutes! It was super simple and I’m glad that my boys were able to take part in the building process. Teaching them how to safely use tools at a young age will hopefully prevent accidents in the future. 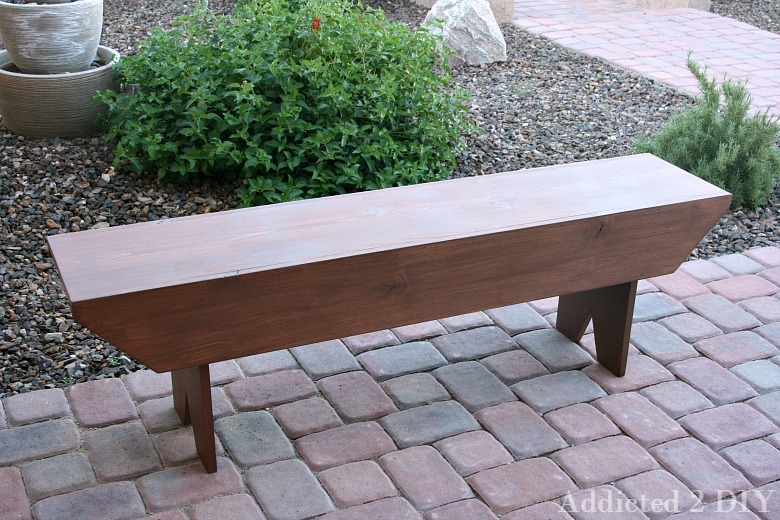 I sanded the bench down, then finished it with Thompson’s Water Seal stain and sealer in Acorn Brown. I was fortunate enough to talk with some folks at the Thompson’s booth at the Haven Conference in July and they kindly sent me some to try out. 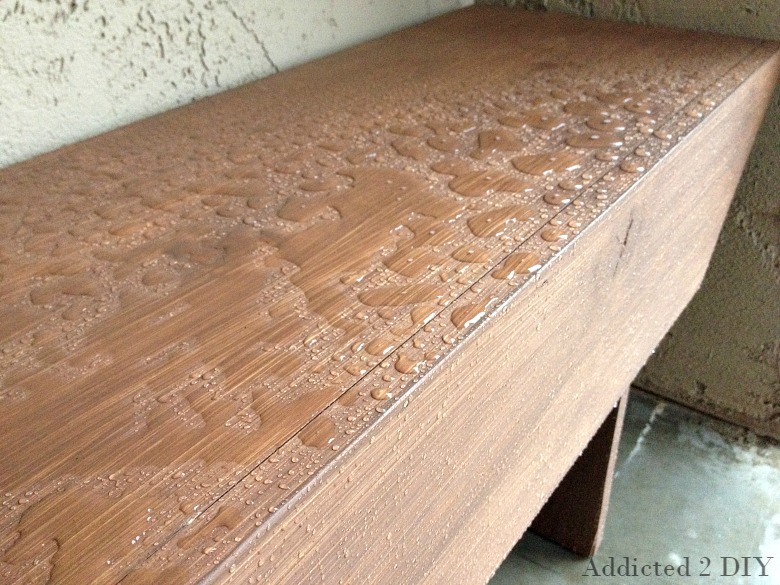 It was recommended that I try out the solid stain, because the Arizona sun is pretty harsh on wood. This bench is going to be in a shaded area, but other projects I make will probably not be so lucky:) Ironically enough, a week after I finished this bench, we broke records and had the wettest day in AZ history. The news channels called it “the storm of the century.” As you can see, my new bench fought off the rain without a problem. 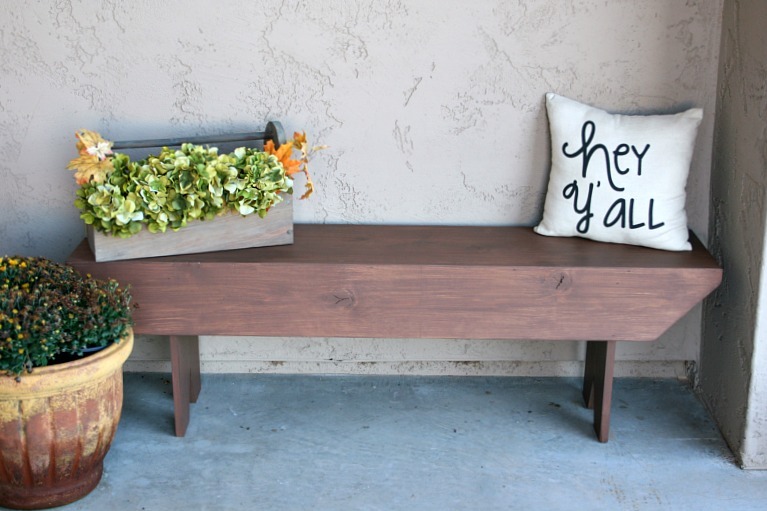 I love how the bench looks on my front porch! It makes it feel so much more welcoming. I’ve got it decorated for fall right now and will be dressing it up for Christmas as well. Are you ready for the giveaway? One lucky reader will win a RYOBI AirStrike Narrow Crown Stapler! 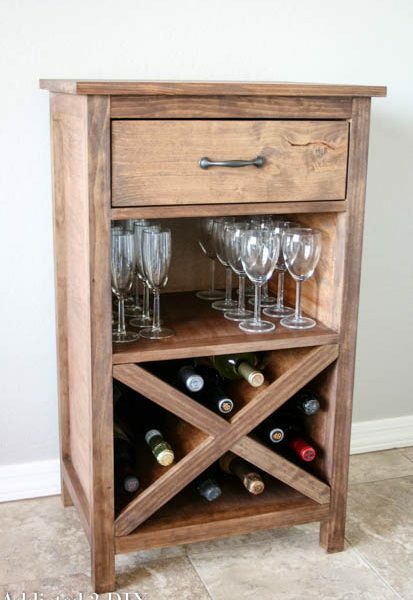 You can use it to build your own rustic bench or for a number of other projects around the home. Note that this stapler does not come with a battery. If you own other cordless RYOBI power tools, you can use those batteries in this stapler. If you need to purchase a battery, there are a few options available. You can purchase just a battery and charger at Home Depot, but I highly recommend checking out some of the RYOBI tool sets that Home Depot offers (affiliate link). I managed to get a cordless drill and circular saw set with two batteries and a charger on sale and it was only $20 more than purchasing a battery and a charger. Plus they were tools I needed anyway! It was a win-win! Giveaway rules: This giveaway is open to residents of the continental United States ages 18 and over. Void in Alaska and Hawaii. Enter below using the Rafflecopter. One winner will be randomly chosen and announced at the end of the giveaway. Winner will have 48 hours to claim prize or a new winner will be chosen. Thanks and good luck! 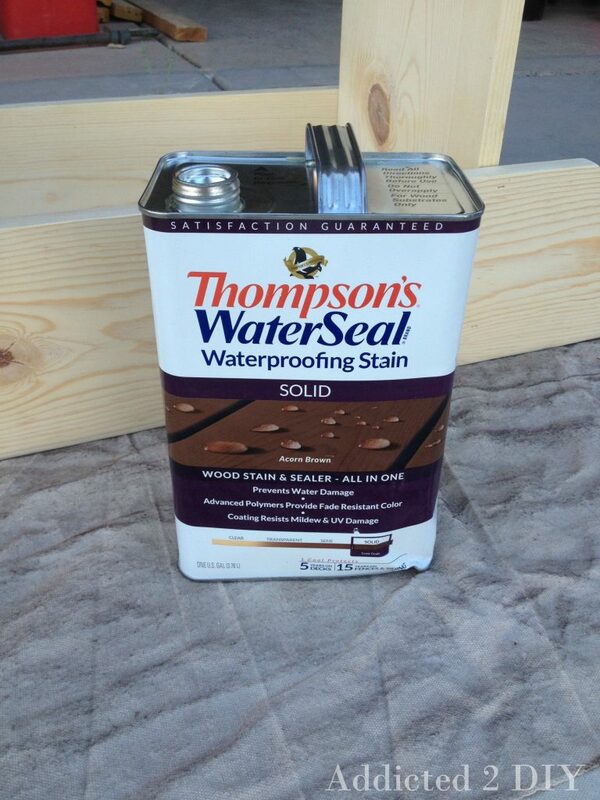 DISCLOSURE: RYOBI Power Tools and Thompson’s Water Seal provided products for me to sample and review; however all opinions and project ideas are my own. Please see my disclosure statement for more information. What a cute bench!! I want to build a bookshelf for our guestroom. I found some great dental trim to add a nice touch. I would use the RYOBI AirStrike Narrow Crown Stapler to add this great trim to dress up the bookshelf. Thanks for the great tutorial and the super giveaway! Would love to have a bench like this! 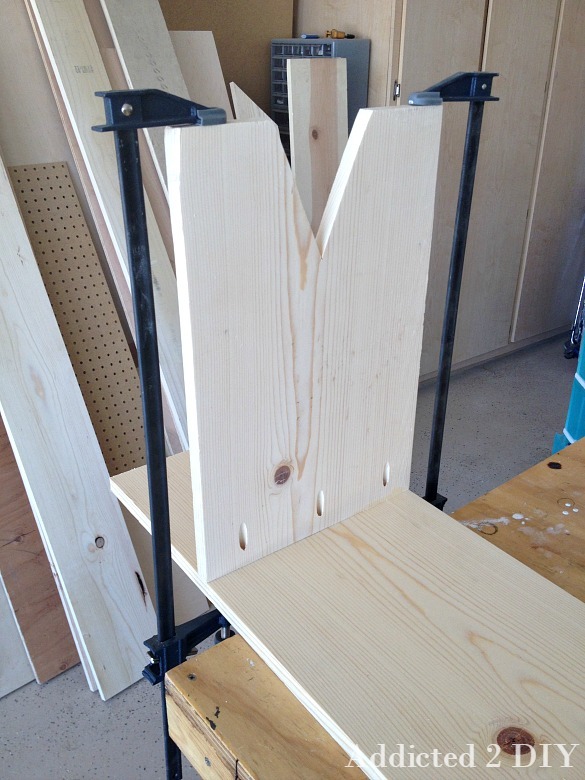 I have a Kreg jig and can not wait to built this great bench! Great bench, want to build one ! I love your bench!! I so need you to teach me how to use power tools. I am completely terrified of them but want so badly to create beautiful furniture for my home! P.S. 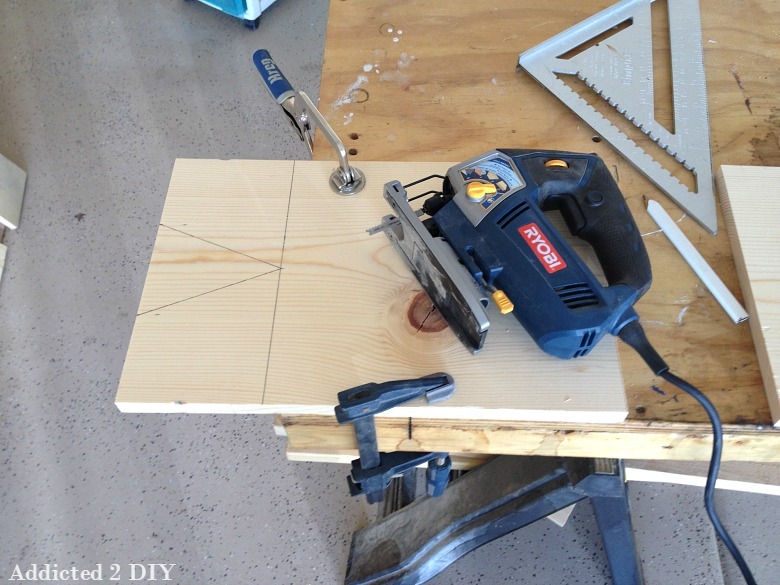 I would use the stapler to make a bench of my own… with a lot of help from my husband! If I won I would use this Ryobi Stapler for making some garden wood cube planters. I love this bench! 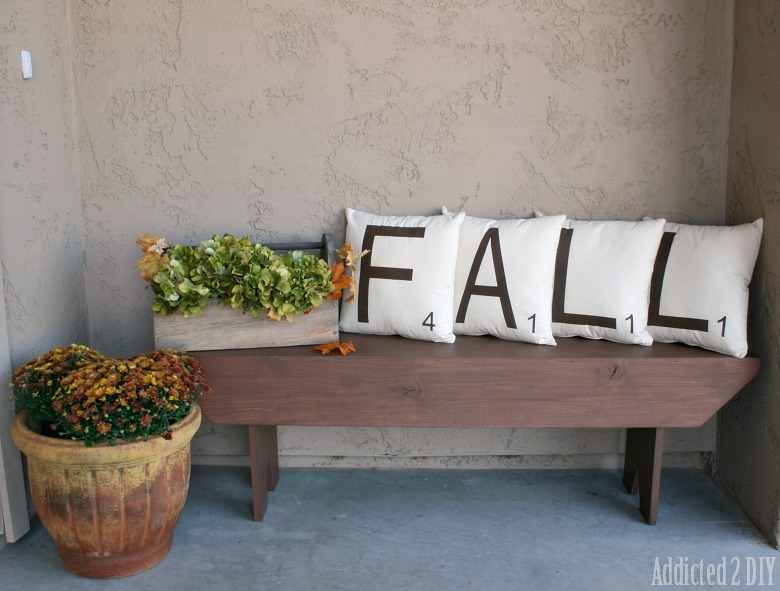 I’ve been wanting to make one for my front entryway; so glad you’re doing this giveaway! Also happy to see you and your bench survived the “storm of the century” – it was wild, wasn’t it! Crown Molding! Chair rails. Absolutely zero fun using nails and a hammer to install molding of any kind. 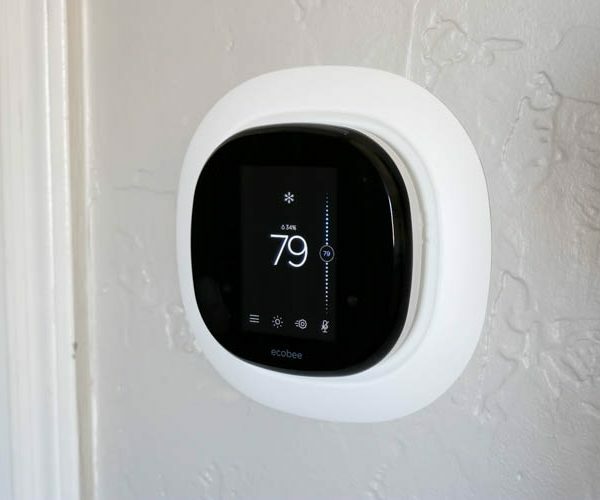 I just bought a house and have so many projects! this would be perfect! cant wait to build this bench! This would really help me with my chicken coops. What a cute bench!! 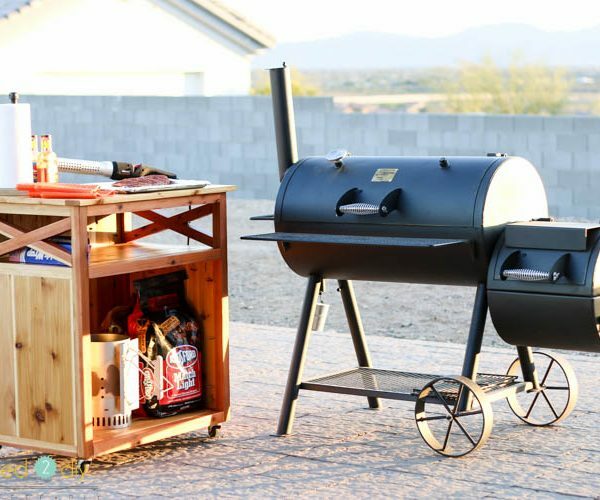 I would use it for trimming out the cabinets I’m planning for my master bedroom. Would LOVE not to have to lung my air compressor up and down the stairs! 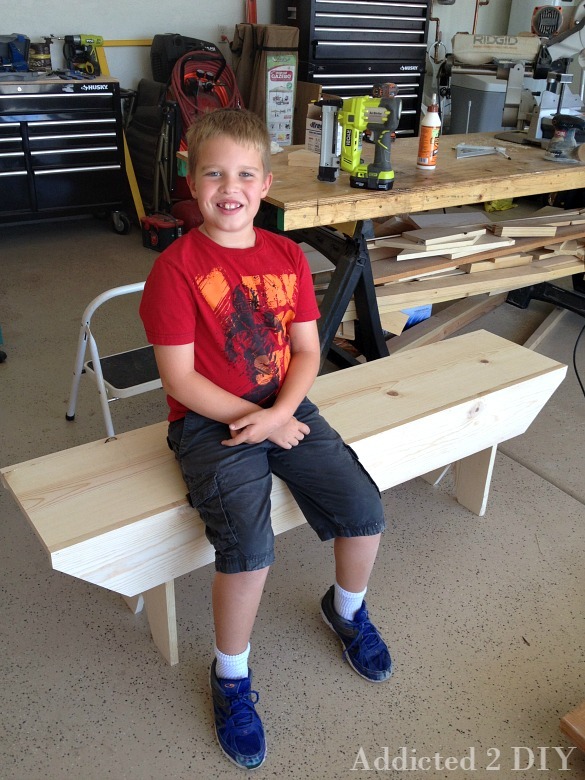 Make a bench with my kiddos! 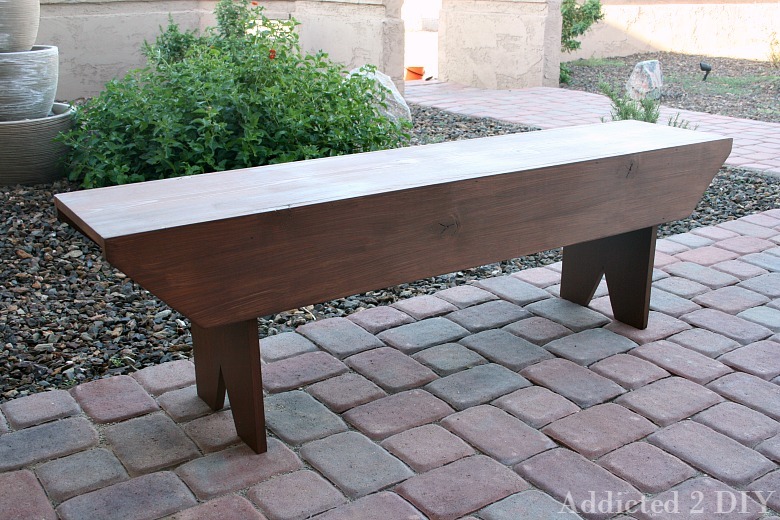 Maybe even I could build a bench like this with the right tool. Thanks! I would build a new fence around the garden. Also a new picture frame form my sons paintings. I would make a wood box to hold the logs for the wood burning stove in our living room! Gorgeous bench, I love how you can decorate to the seasons with it also, very clever for the front entrance. 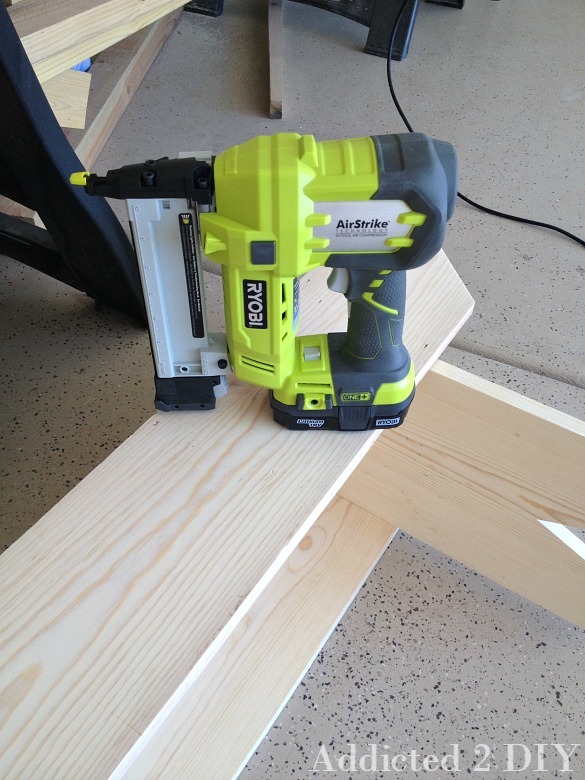 I’d use the Ryobi stapler on my next project of building my son a loft bed. I would fasten everything that’s loose!! Definitely reupholster my Grandma’s rocking chair!! Great bench. We use the Thompsons on a wooden Swingset we moved to our house and restored/rehabbed….. Stapler looks great I will have to check it out!!! I would use the stapler to add a sandbox to my sons swingset…. I would build a trellis for flowering vine. Love your bench! 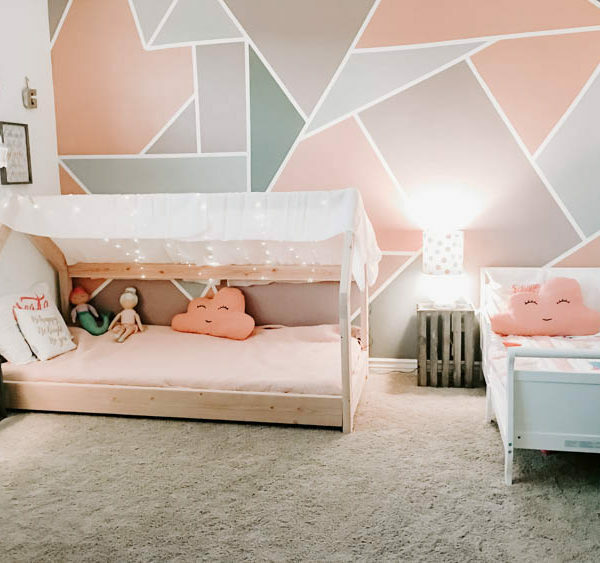 Your projects are beautiful and inspiring. I have wanted the Ryobi Airstrike for a while now. Winning it would sweeten the pot. I would use this this thing on everything. Thanks for having the giveaway! Finishing off a basement project!